Knowledge a hindrance? It flies in the face of reason right? Well, in this case too much knowledge is a bad thing. 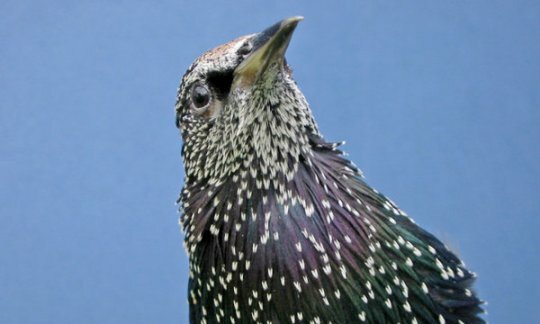 A new study of European starlings suggests that too much knowledge may not be a good thing for our fine feathered friends. A pair of behavioral ecologists from the University of Oxford has discovered that sometimes birds actually make better choices when they have less information to work with. The study involved Starlings that were trained to peck at colored keys. These keys rewarded them with food, but each had a different time delay for giving up the goods. Key “A” gave food the fastest, followed by B, C and D. They performed great and knew which keys to peck to get food the quickest. So far so good. Then the researchers stepped things up and also trained the birds with key combinations, where they were trained to see A and B together, and C and D together. They quickly learned that A is better than B, and C is better than D. Again, they performed amazingly. However, when presented with keys B and C together, they became confused. B offered food faster than C, but the birds could not grasp this information in context. TMI…Too much information. The birds actually performed better with less knowledge of the keys. That may be because in the wild they don’t over-complicate things. For instance, in the wild, they will dig into the dirt in search of food and then decide whether the site is worth pursuing or not. Simple decision making that yields results. Be the first to comment on "The Less Birds Know, The Better"